The OSCE International Expert Group, which will investigate the facts of fires in occupied Azerbaijani territories, left for the fire-affected territory, the Press-Secretary of the Azerbaijani Foreign Ministry Matin Mirza told Trend. He stressed that the group will stay in these territories for nearly two days. The task of the Expert Group is to assess the damages inflicted by the fires and hold ecological operations, after which a report will be prepared. The group comprised of 10 international experts is headed by the OSCE Co-ordinator for Economical and Ecological Activities Bernard Snoy. 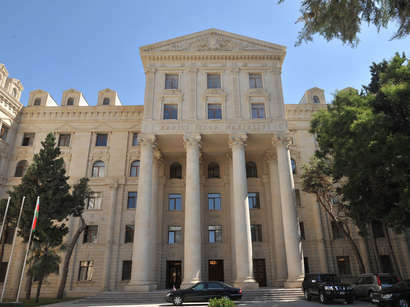 On October 3, the mission held negotiations at the Azerbaijani Foreign Ministry. From Azerbaijani side, the representatives of other ministries also participated at the meeting and the mandate of the mission was confirmed.